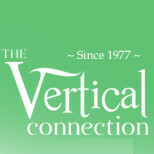 The Vertical Connection Carpet One is a family owned and operated business that has been serving Columbia, Ellicott City, Clarksville, Howard County, and the surrounding areas in Maryland for over 35 years. Our passion is in helping our customers with all of their home interior needs. From one of the largest design centers in MD, we can help you select cabinetry, carpet, flooring window treatments, and more. Our beautiful new state of the art show room is the perfect place to come and get inspiration for your home. You will find a complete Hunter Douglas Gallery, including blinds, shades, and shutters. As well as a large selection of fabrics to choose from for custom draperies. We also carry a vast selection of hardwood, cork, tile, vinyl and bamboo flooring. We guarantee all the work we do, so you can trust that we'll take good care of you and your home. Come stop in or give us a call or email and we can come to you. Bode Floors is a private, locally owned company in Howard County, MD with over 40 years experience in the flooring covering business. We've built our reputation on satisfying customers with the best selection, a great in-store experience and professional installation. Come visit us at our new location: 9515 Gerwig Lane - Ste. 119, Columbia, MD 20146 Our dedicated flooring professionals will help you with all of your flooring needs including Carpet, Hardwood, Laminate, Vinyl, Tile and Area Rugs. We make it easy and affordable to give your home a brand new look. 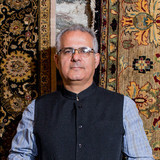 Founded by Mojan Bagha nearly two decades ago, Main Street Oriental Rugs has earned a reputation of offering only the best handmade, 100% natural fiber area rugs for home and commercial projects. Our unique collection of rugs directly imported from Persia, Turkey, India, Pakistan, Afghanistan and China is constantly evolving. We regularly find creative new designs, fresh color palettes, and exciting new styles, as well as heirloom antiques and one of a kind collectibles. Our grand selection of opulent, authentic, hand-crafted rugs can add just the right touch to your home decor. We are committed to providing excellent value and knowledgeable service. Mercers is a full service flooring retailer that has been servicing the greater Baltimore/Washington D.C. area since 1959. We are a 3rd generation family business that takes pride in offering the best products at the best prices and with unmatched installation and service. No matter your dream, we have the products, the design training, and installation experience necessary to help you achieve it. Contact either of our two showrooms today to set up your complimentary project consultation, measurement, and estimate! Since 1947, Yorkshire Carpet House Inc. has been family owned and operated. We proudly show expertise in various flooring techniques using carpet, vinyl, domestic and exotic hardwood, and ceramic materials, for both residential and commercial needs. Our 60 year track record of success shows testament to our commitment to our costumers. We guarantee the best in customer service, giving our customers the greatest quality products and workmanship possible. Being small and family owned allows us to offer a personalized experience unique in this industry. We appreciate your business! Magni Flooring specializes in all hardwood floor installations, refinishing, re-coating, wood repair and much more. We offer a full range of quality flooring products and complete service for all floor types. We specialize in installation, repair and refinishing of hardwood floors. We also work with engineered wood, bamboo, cork, laminate, linoleum, carpeting and VCT. In addition to installing off-the-shelf products, we work with our clients on developing custom projects, including designing and improving original ideas. We provide quality service and craftsmanship, including providing customers with free estimates, a collaborative planning process and timely installations. Our highly skilled craftsmen have the experience and expertise to do the job right the first time. As a result, we've obtained much of our work through repeat customers and referrals. *Authorized Armstrong Dealer* Mohawk 5 star Color Center - Shaw Alligned Network - Mirage Mastro Dealer - Stanton Master Dealer. A happy home is built on a solid foundation. At A Plus Carpet and Flooring, a top tier Columbia Md flooring company, that foundation begins with top grade flooring and quality customer care. Locally owned and operated, we proudly serve the Baltimore, MD and DC regions as well as surrounding areas, including Columbia, MD and Ellicott City. Let our team of experts help shape a strong footing for your home or business that hinges on years of knowledge and experience in flooring and carpet installation, maintenance, refinishing and more. See for yourself what sets us a grade above the rest. *Authorized Armstrong Dealer* Since 1964, Hawkins Floor Company has been the most trusted source for quality floor installations in Gaithersburg, MD. You can rest easy knowing our skilled craftsmen can handle all your flooring needs at a competitive price. Our team can assist you with a wide variety of flooring services, including installations for both carpets and rugs, hardwoods, and vinyl flooring. You will find that we even provide dustless refinishing work for your hardwoods and we have several quality flooring brands to choose from. *Authorized Dealer of Shaw Floors* Petersen’s Carpet & Flooring has been in business since 1983. We are a family owned and operated company. David Petersen was an installer for years prior to starting the company. We have one of the most beautiful showrooms in Frederick County. Although our store looks small from the front, our customers are always surprised to see how large it actually is inside. Our commitment to you is that YOU are the number one priority in our eyes. At Petersen’s Carpet & Flooring, you will always find a friendly atmosphere. Our owner is accessible to our customers at any time. We offer a very large selection across all flooring categories that can accommodate any style and budget. The culture, attitude and experience of our sales professionals is customer service oriented. We always say yes when asked if we can do something outside of the “normal” scope of installation. We go above and beyond in our service, from your first visit to our store to the installation of your new floor. We have a Quality Control specialist who visits jobsites to ensure they are running smoothly and our customers are pleased with the final product. Repairs, restretches, board replacement…we can do it all! No job is too large or small! From the initial design concept, through construction management to the finished product, we are here. Our tagline is “We WILL Find a Way to Help” and we mean it! Carpeting is subject to a significant amount of wear and tear, so it’s crucial to make sure a new carpet installation is done correctly, or that an existing rug is maintained properly. Enter Elkridge carpet dealers. From carpet repair to custom carpet design, these professionals specialize in anything and everything that is carpeting, and can help ensure that your Elkridge, MD home’s new rug starts off — and stays! — in great shape. Carpet dealers in Elkridge, MD help homeowners choose the correct carpet covering for their floors, and also assist with carpet maintenance. This includes determining factors like material, carpet pile, durability, color and size, as well as helping with any custom carpet design. After completing the initial installation (which includes removal of the old flooring, if applicable, and surface prep), they may also handle follow-up maintenance requests such as carpet cleaning, carpet repair and carpet stretching. Carpet dealers might work closely with Maryland contractors, interior designers and others in the home building and home improvement industry. Here are some related professionals and vendors to complement the work of carpet dealers: Interior Designers & Decorators, Design-Build Firms, Specialty Contractors, General Contractors, Home Builders. Find a carpet dealer on Houzz. Narrow your search in the Professionals section of the website to carpet dealers in Elkridge, MD, and read reviews and ratings for pros in your area.